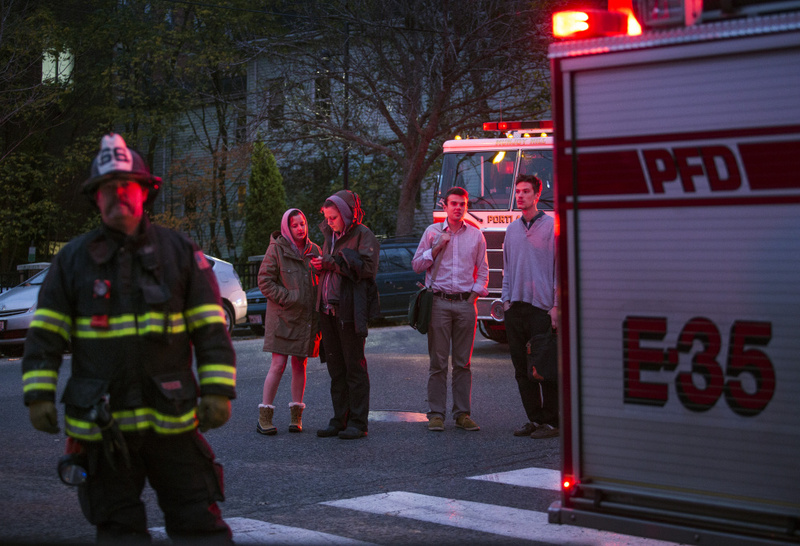 No one is injured in the fire at 3 Sherman St., but the residents are moved out because of the smell. Thirteen people, including two children, were left homeless Tuesday by a fire that destroyed a first-floor apartment in a building in Portland’s Parkside neighborhood. 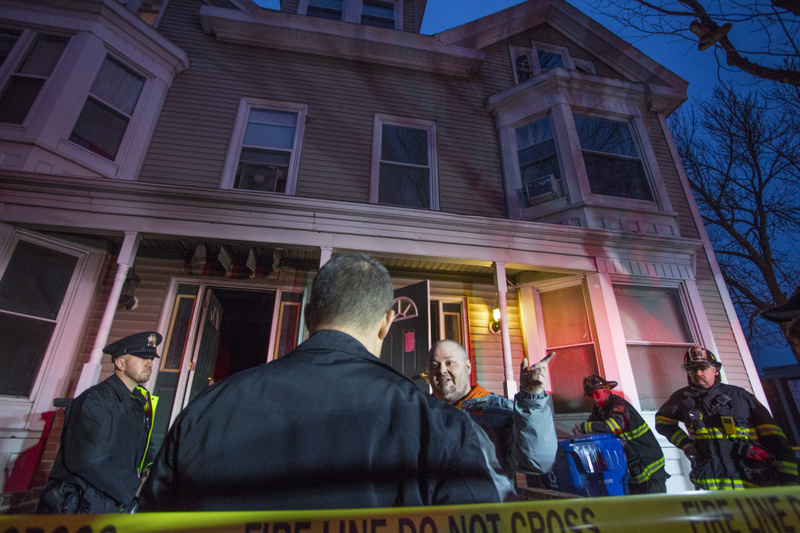 Deputy Fire Chief John Everett said the fire started around 3 p.m. in the three-story wood-framed structure at 3 Sherman St.
Everett said 13 people lived in the nine-unit apartment building. They escaped and no injuries were reported, but the building’s managers opted to move tenants because of the stench caused by the fire in the ground floor living area. Peter Sullivan talks with investigaters at the scene of a fire at 3 Sherman St. in Portland on Tuesday afternoon after a fire started in his apartment. Sullivan said he had to climb out his bedroom window to escape. 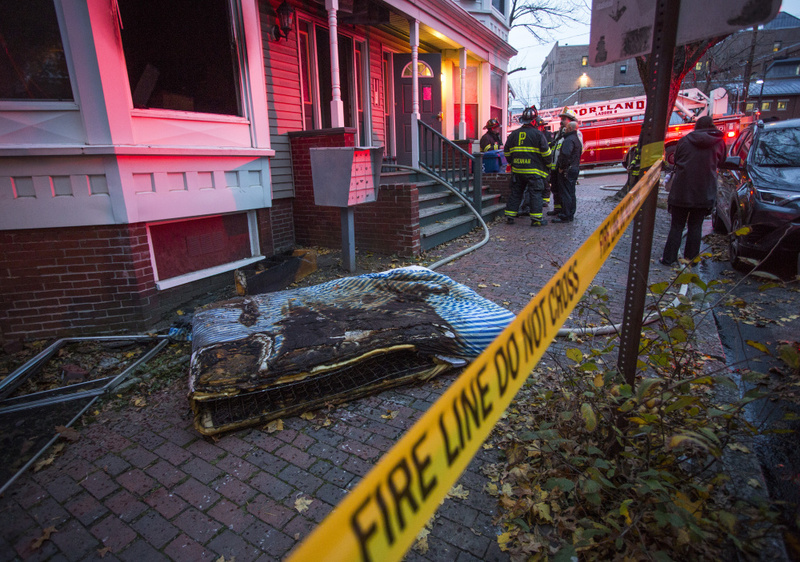 Eight adults and two children had nowhere to live Tuesday night, Everett said, while three adults found other living arrangements for the night. A Red Cross disaster action team was working with the fire victims Tuesday night to find shelter and food, said Ann Kim, spokeswoman for the Maine Chapter of the American Red Cross. Residents of 3 Sherman St. in Portland, from left, Leslie Moncrieff, Amanda Beun, Grant McPherson and Jake Susla, wait to find out if they can return to their apartments after a fire in the building on Tuesday afternoon.